The California Car Cover Pop Up Shop along Underwood St. during the MSRA Back to the Fifties Weekend. The California Car Cover Crew just returned home after a great weekend in the Twin Cities. 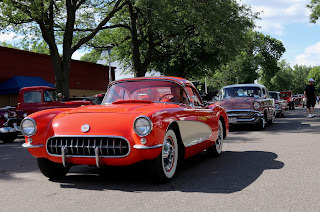 We were at the Minnesota State Fairgrounds spending some quality time with almost 12,000 classic cars and 50,000 people. 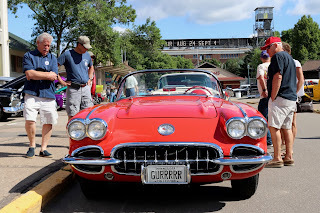 It was the 44th Annual MSRA Back to the Fifties weekend and this car show never cease to amazes us year after year. Even with some rainfall each day this year, people were cruising the fairgrounds from sunrise to sunset. California Car Cover has been attending the Back to the Fifties weekend for many years and we always enjoy visiting with our customers and friends from the North. 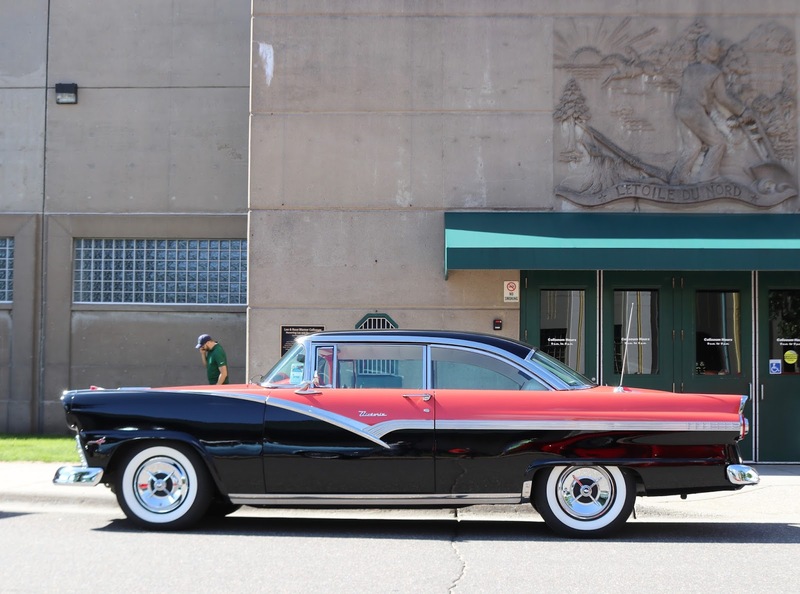 Between talking car care and eating our weight in Martha's chocolate chip cookies and pork chops on sticks, we captured some photos and video from our weekend in Saint Paul. The sun was out Friday morning, so people were in the fairgrounds and cruising early. Our friend, Ryno, has his custom Cadillac "The Golden Goddess" on display in the Optima Batteries booth. 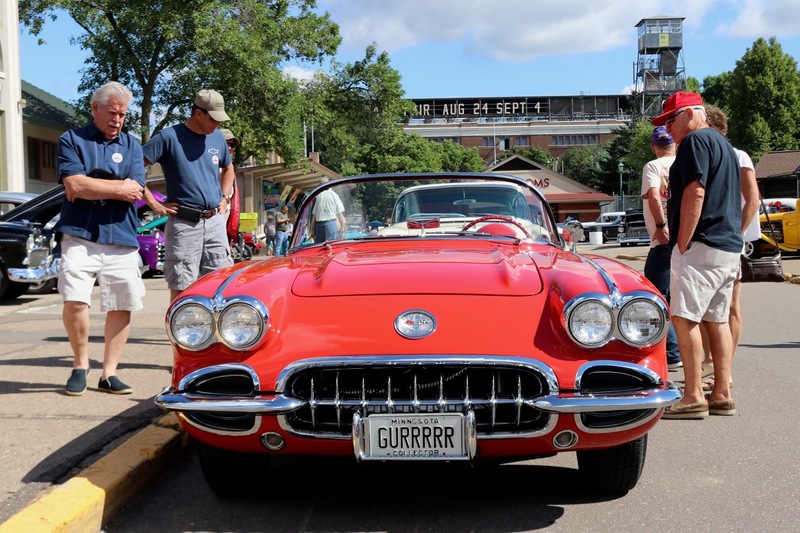 Saturday was another busy day at the Minnesota State Fairgrounds. 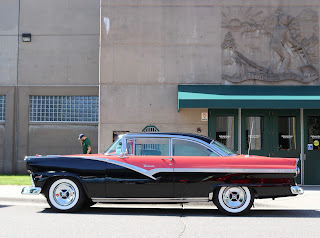 Even with some much cooler weather, tons of people and cars poured into Back to the Fifties. Just a few people out for a stroll on Underwood St. Saturday afternoon. Some people just can't make it a full day at Back to the Fifties. There is too much to see. Everyone heads for the swap meet on Sunday morning to do some hunting and dealing for antiques and old car parts. We always walk through the swap meet prior to setup to see if there is anything we need to take home to Southern California. Some car owners get a head start home on Sunday, but there is still plenty of cool cars to see on the final day of the show. Thank you to everyone in the MSRA for another outstanding event. We had a great weekend in Minnesota. The California Car Cover Crew enjoyed its time in Saint Paul and look forward to being back there in 2018. Thank you to all of our friends and customers that stopped by to say hello. Hitting the road this summer? We will be at the Goodguys PPG Nationals in Columbus, Ohio in a few weeks.